Join this workshop and make a perfect setting to entertain guests. The combination of faux tiles with the dark wood is so elegant and the rope handle adds to that rustic look. 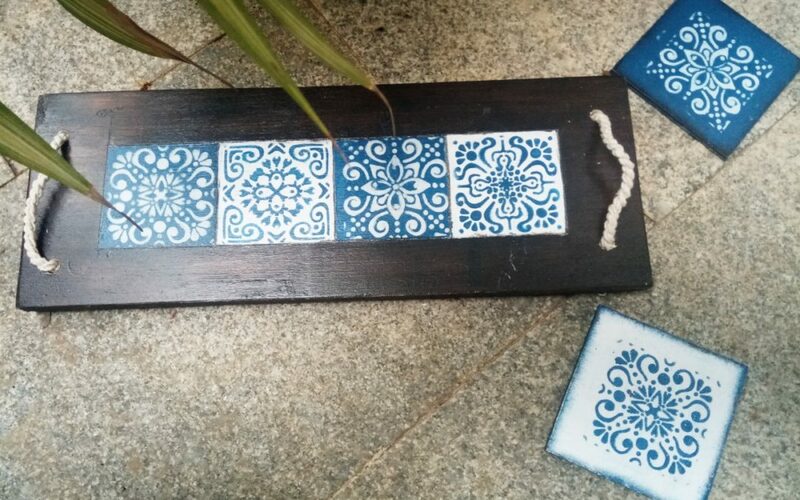 Participants will use different types of stencils, paints, and brushes for making faux tiles to give elegant look. All the crafty souls who adore Decoupage but haven’t had their hands on it to explore different styles and techniques, we have a workshop just for you. 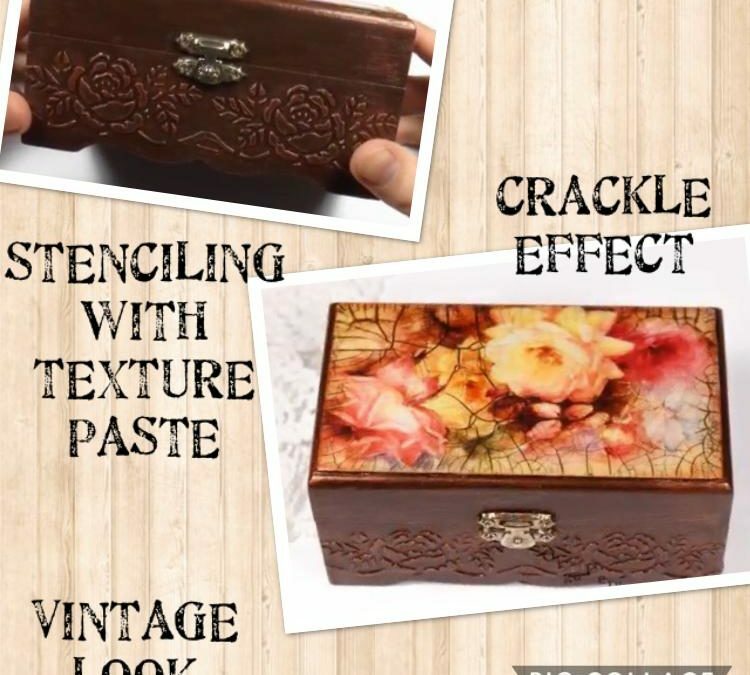 Join this workshop , learn and explore the different techniques of decoupage on media box creatively with a vintage effect.